The Patron Saints' Fohhoh Bohob covers and LP. 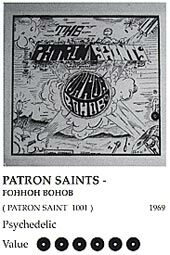 The Patron Saints' 1969 album Fohhoh Bohob is considered by many collectors to be one of the most highly sought-after privately-pressed records ever released. Only 100 copies were produced originally, now fetching prices of $2500 and beyond (I recently saw it listed at $3400 in an Italian newsgroup). 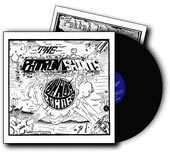 With the cost of an original copy of any of the LP´s featured herein well beyond the ability of all but a handful of wealthy collectors to afford, the rest of us are fortunate that a growing number of small labels have emerged devoted to the reissue of these lost recordings on LP and CD. This series of compilation LPs and CDs is designed to introduce a new audience of fans & collectors to the lost chapters of rock history. Uncovering, researching, collecting and listening to these records have given many of us great pleasure. In the words of the prophets, We´d love to turn you on." You can check out Thomas' Psychedelic-Music website here. Hans Pokora's 1001 Record Collector Dreams and the Fohhoh Bohob 6-record rating, one of the 'crown jewels' of vinyl. 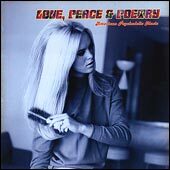 "The cream of Folk, Psychedelic, Progressive, Garage and Beat music. Over 1000 professional colour photographs of the rarest 60's and 70's album covers from around the world. Over 300 US groups including all JUSTICE LP´s and the RAREST ACETATES shown for the first time. The rarest releases from AUSTRIA to NEW ZEALAND. 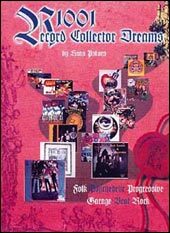 Obscure collectables from TURKEY, GREECE, SOUTH KOREA, MEXICO, COLOMBIA, ITALY, ICELAND, AUSTRALIA, SOUTH AFRICA and much more. A kaleidoscopic overview of the rarest and most expensive collectable albums from all over the world. An indispensable book for all serious collectors of 60's and 70's rare records, compiled from the collector Hans Pokora for collectors and curious music lovers. Includes accurate description of origin, label, value and rarity. Printed on high quality glossy paper, in a limited edition. Hardcover 9 x 12 inch." You can learn more about Hans' book, or purchase it here.